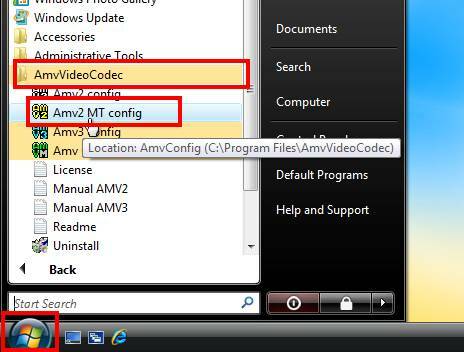 AMV2MT/AMV3 video codec is high speed processing lossless and lossy codec for windows. Optimized Intel(R) and AMD(R) processor. 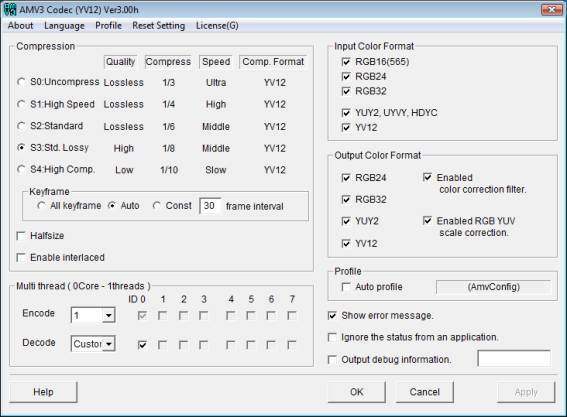 Support color fomat by "RGB24", "YUY2", "YV12". *“x” is can not use or no merit. RGB24, RGB32, YUY2, YV12 *When the RGB32, ignored alpha channel. 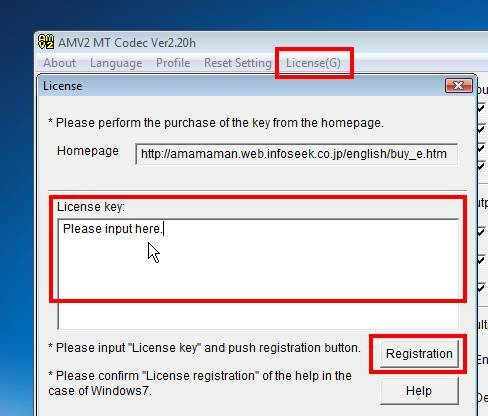 *YV12 can be used only with AMV3. RGB24, RGB32, YUY2, YV12 *When the RGB32, set of alpha channel is 255. *YV12 can be used only with AMV3. 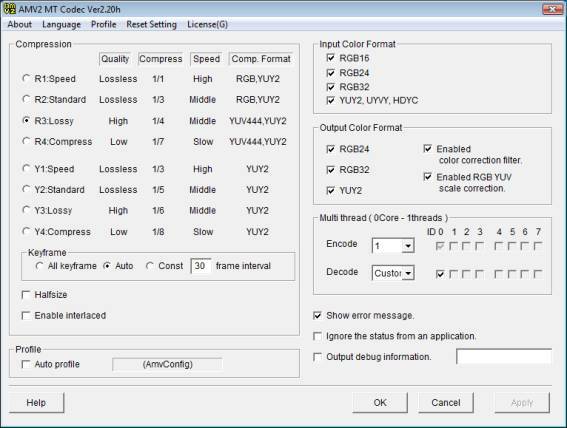 RGB24, YUY2, YV12 *When the RGB, convert to YUY2 supported. *YV12 can be used only with AMV3. When the half-size multiple of 16, height 8.
please input a license key in the next procedure. * This is not available in the account unlike the user account which installed software. 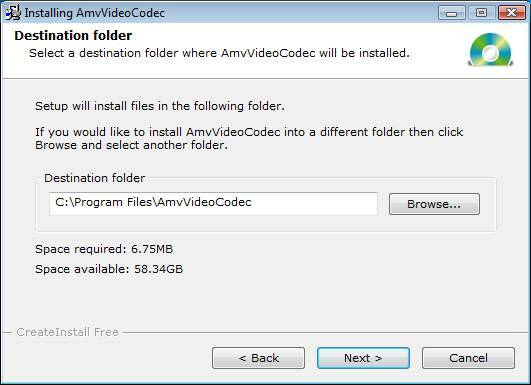 When you change a destination folder, AMV Video Codec may not work normally. Copyright ©2008-2012 amaman. All rights reserved.